Our reception is open 24 hours a day, 7 days a week. You’ll never be locked out of the hotel if ever you had to arrive late or wanted to enjoy a long dinner. 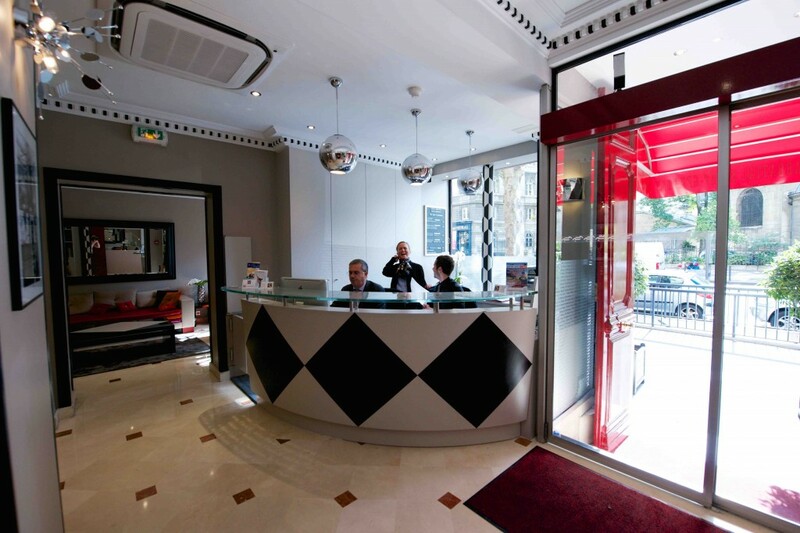 Our reception team is here to help you and inform you about all the things you can do or visit in Paris : Museum, Tourism, Restaurants, flight informations, etc… At the Hotel Abbatial, you will find a really good service with a smile. In 2012, the reception of the Hotel Abbatial has been totally renewed. We are now very happy to welcome you in a very modern and cosy atmosphere. Our new lounge has several bookcases full of books ! 2 New iPads are also available if you want to easily surf on the web !